Weather alerts, weather Alerts, notifications everywhere. The iPhone notifications from multiple weather apps are handy, and when you hear the notification alerts from other people’s phones going off around you, you’re going to look at your screen. Something is going on, or soon will be. In the old days, we listened to our radios for weather forecasts, often the local television station weather broadcast. Later on, the soothing sounds of the Weather Channel’s greatest hits played while our local forecast rolled across the screen in between weather people pointing to a green screen and looking off camera to create a less confusing presentation illusion. It all worked very nicely. Now we can view the weather in our computer browsers or on a phone app. You can easily view the weather info for almost any place in the world. You can read predictions based on this info, and for short time sensitive duration while events closer to the present are fairly accurate. With so many sources available most people will have a good set of options to choose their weather data. There will always be a few users who would rather tap into alternative weather info feeds where you have more control of the data presentation. With Linux, I have found a few tools I really like to explore that are a little different from your standard smartphone weather app or browser-based options (often loaded with advertising). 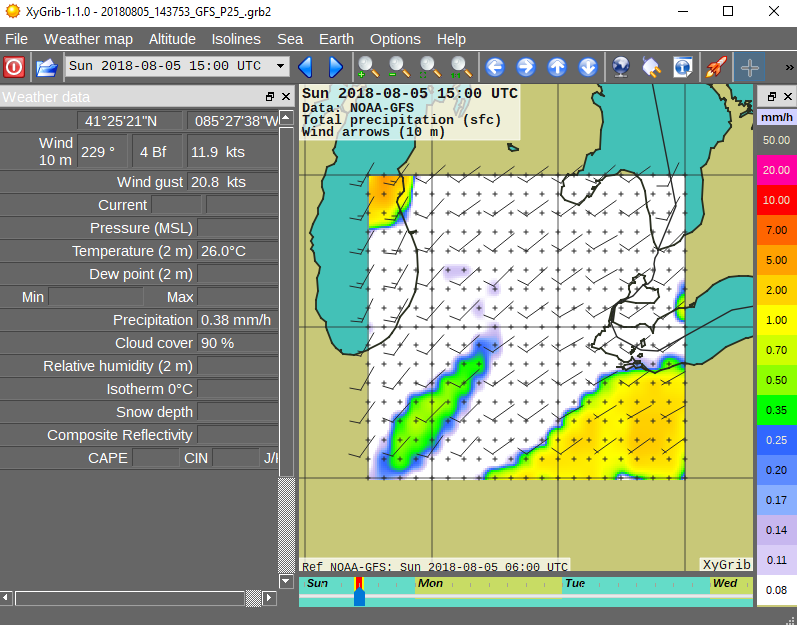 ZyGrib a GRIB (Gridded General Regularly-distributed Information in Binary) file viewer is an interesting meteorological file viewer option. I installed the LINUX (version 8.0.1) of ZyGrib from the Mint 19 software repositories, and then installed the Windows version – both are very similar. I haven’t tried the Mac version yet, but now I see that Opengribs.org will be continuing the development of ZyGrig – now XyGrib for all platforms. 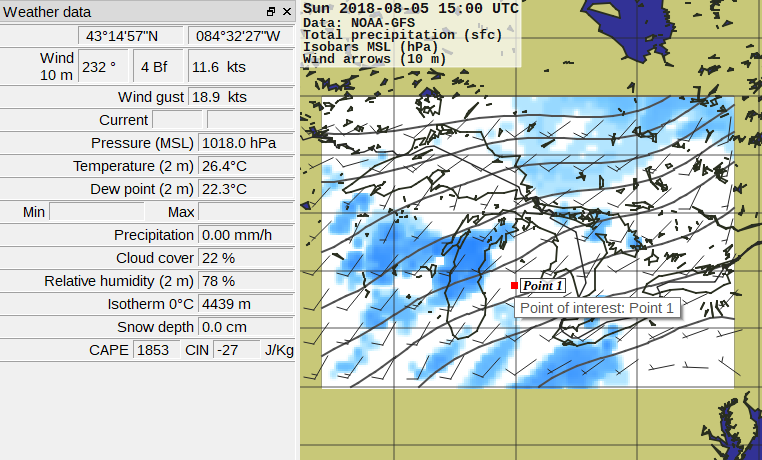 I can see where interpreting your own weather data can be both challenging, yet very educational just by reading through all the output presented in the data file reader. There is a nice selection of Grib orientated tools available, but some are subscription based, commercial, or older applications which may or may not have much support if any. It’s all worth a look if you’re more than casually interested in weather data. There are also a few iPhone applications that allow you to view Grib data. I purchased PocketGrib for the iPhone mostly out of curiosity after spending some time playing around with zyGrib on my LINUX machine. It’s pretty cool, it will certainly make following the weather as we head into the peak of Hurricane season more interesting from a data analysis angle. I still don’t think I’ll give up my weather radio just yet – I don’t need an Internet connection for that.